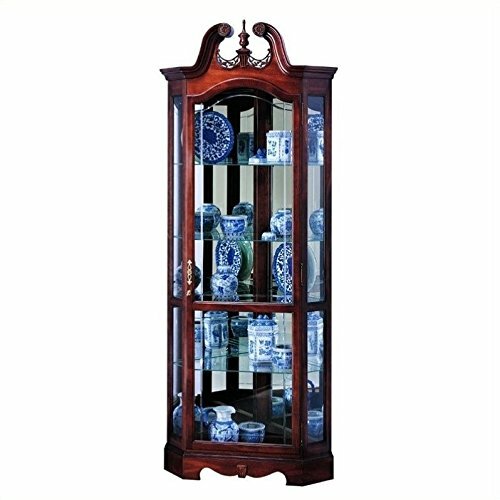 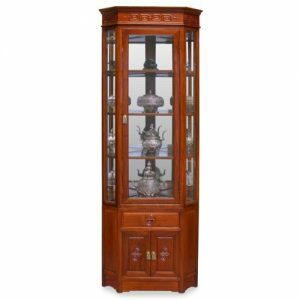 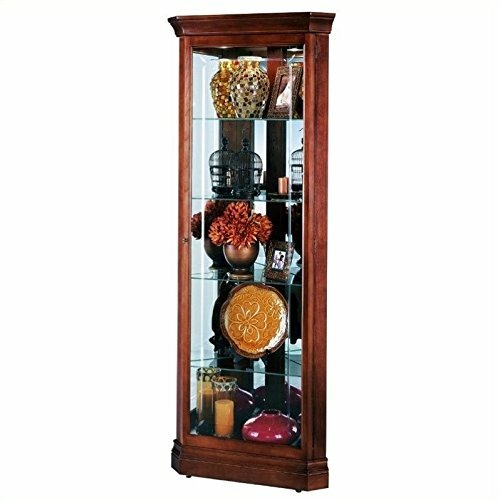 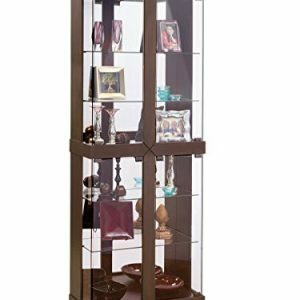 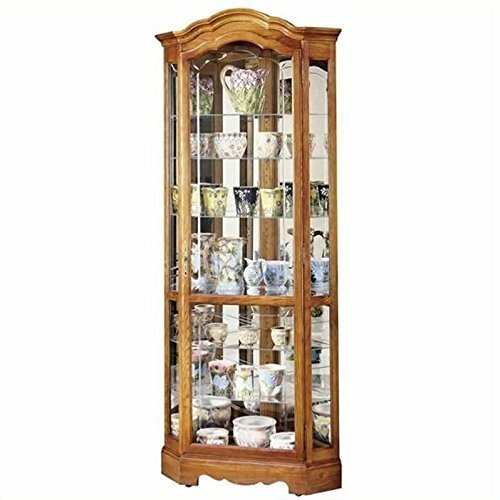 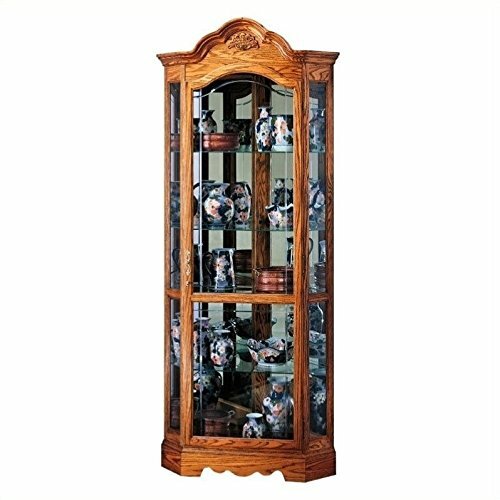 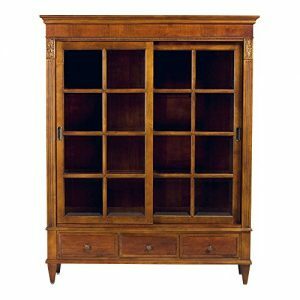 This traditional corner curio display cabinet is rich with Colonial charm and will be a most stylish addition to your living or dining area. 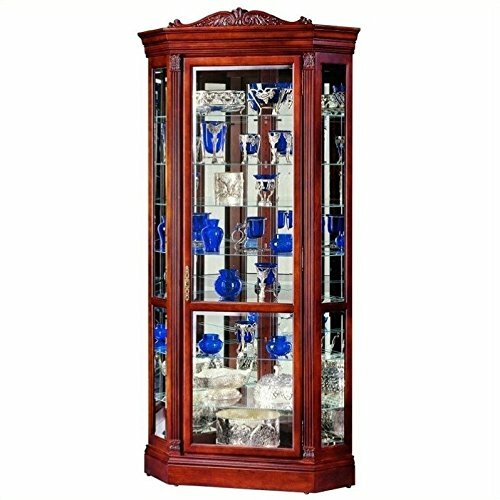 Crystal-cut grooved glass on the door follows the curves of the pediment. 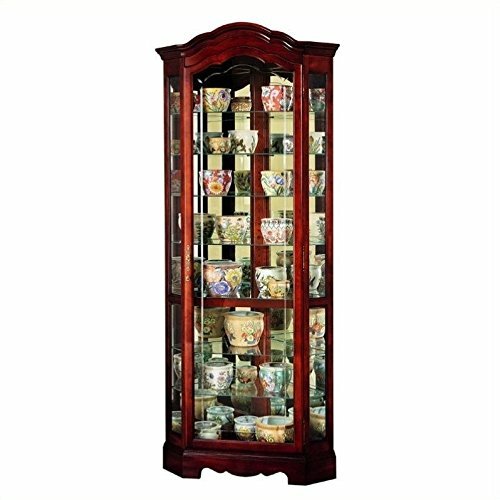 Eight levels of display space will accommodate your many treasures. 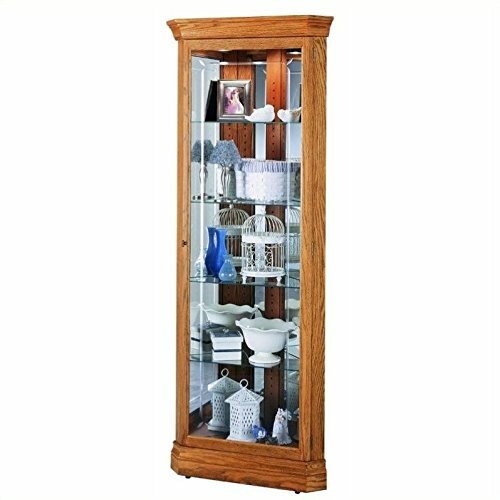 Glass shelves can be adjusted to any level within your cabinet. 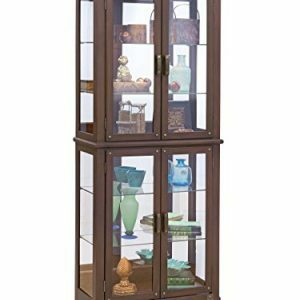 The curio is illuminated by an interior light. 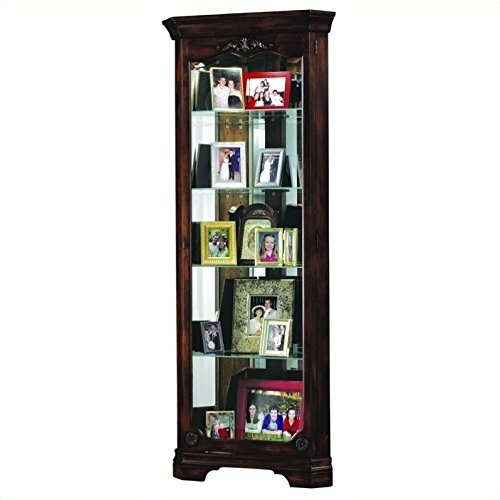 It has a locking door for added security.